A plumbing leak can cause major damage in your home. It can send water pouring out everywhere and force you to deal with costly repairs. 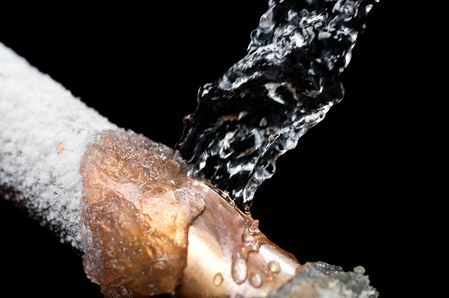 The best way to prevent these kinds of leaks is by having a water shut-off system installed in your home. Here are the benefits of buying one for your plumbing system. It will work to detect the early signs of a leak. Most plumbing leaks start small, and there are times when it will be impossible to see evidence of them. You could have a slow leak behind a wall or in a crawl space. A water shut-off system will be able to sense even the smallest of leaks, and it will shut your water off completely so that you know about it, too. Instead of waiting months for a leak to get so bad that it’s impossible not to notice it, your system will stop a leak from the start. It will stop sudden leaks. While some plumbing leaks start small, others will immediately wreak havoc on your home. A frozen pipe could potentially burst and flood your basement within just minutes. A water shut-off system will turn your water off before it gets to that point. Almost as soon as your pipe bursts, it will spring into action and stop water from flooding out everywhere. It will protect your home at all times. This is probably the biggest benefit of having a water shut-off system. It will protect your home at all times, regardless of whether it’s 2 a.m. on a Saturday night or the middle of a workday. When you have a system in place, it will give you the peace of mind that comes with knowing your home won’t be susceptible to flood damage due to a plumbing leak. NYCONN Security Systems would love to see to it that your home has the protection provided by a water shut-off system. We can install a WaterCop automatic water shut-off valve system designed to provide your home with 24/7 indoor flood protection. Contact us today to find out more details about it.